The various Gypsy peoples and tribes scattered across the world differ not only in customs and traditions, but also in music, dance, poetry and even painting. 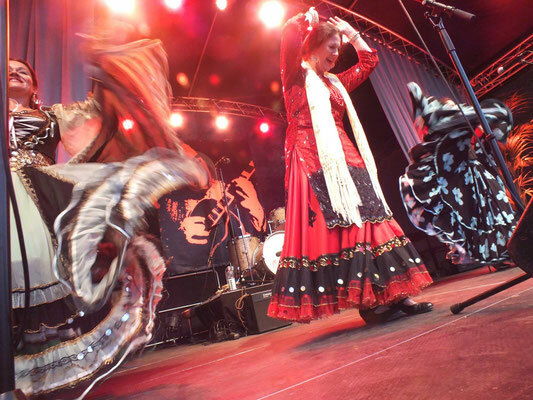 The passionate song and dance of Flamenco, and especially the elegant Django Reinhardt Swing find themselves at home among the Sinti, Manouch, and the Kalé of Western Europe. In the Balkans, Romanian and Bulgarian Roma musicians have conquered the world with their high-speed, high-energy brass bands. 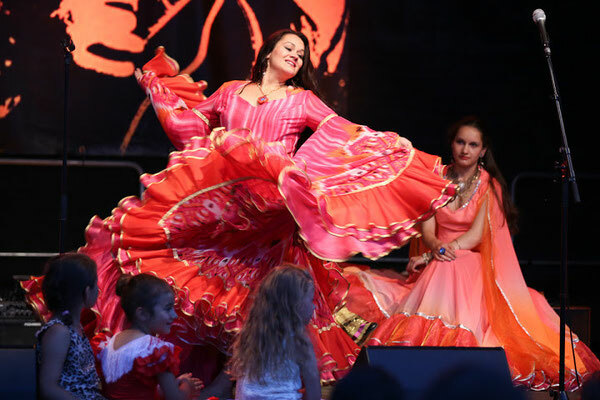 The Hungarian Roma have played their way into the hearts of operetta fans, and delight you with percussion produced by everything from simple folk instruments to metal drums to the mouth! 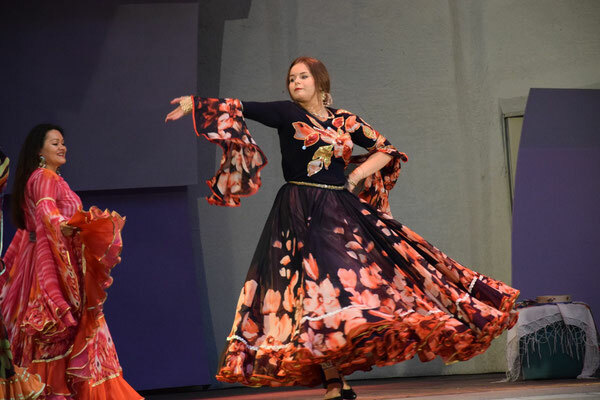 But the Roma of Russian and Poland have created the legendary Gypsy Musical Theater and Gypsy Shows – an intoxicating blend of Roma folklore, classical dance and Russian romance: an art form that today is integrated into the curriculum of Russian art schools and a must at every festival. TRIO PHENJORIPE is a part of this tradition. The name is created from the Romany language and means something like “sisterhood”. 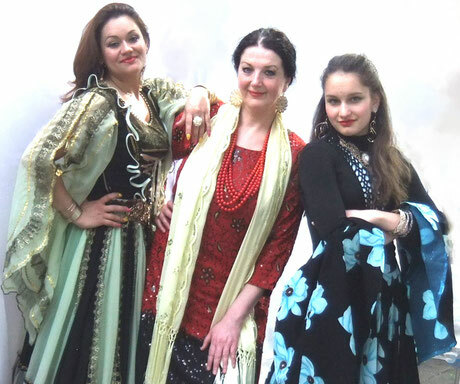 The three artists met in Gorzow / Wielkopolski while working as soloists in the Gypsy musical theater TERNO – the only government-sponsored traditional Roma theater ensemble in Poland. 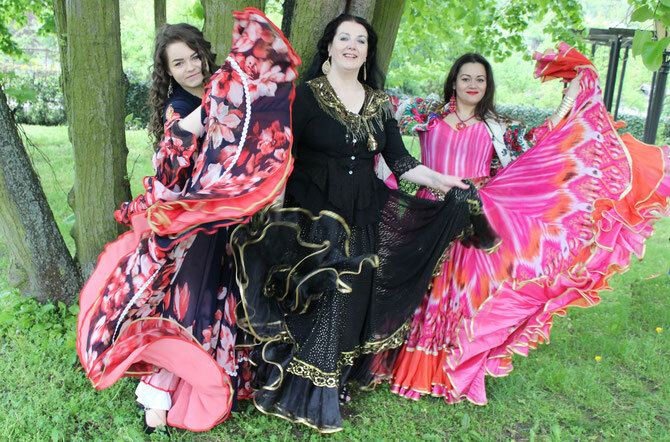 There, Russian and Polish Roma jointly maintain the heritage and traditions of Eastern European Gypsy musical shows and theater. In addition to performing together, their intention is to disseminate and popularize Eastern European Roma art and culture to Western Europe. 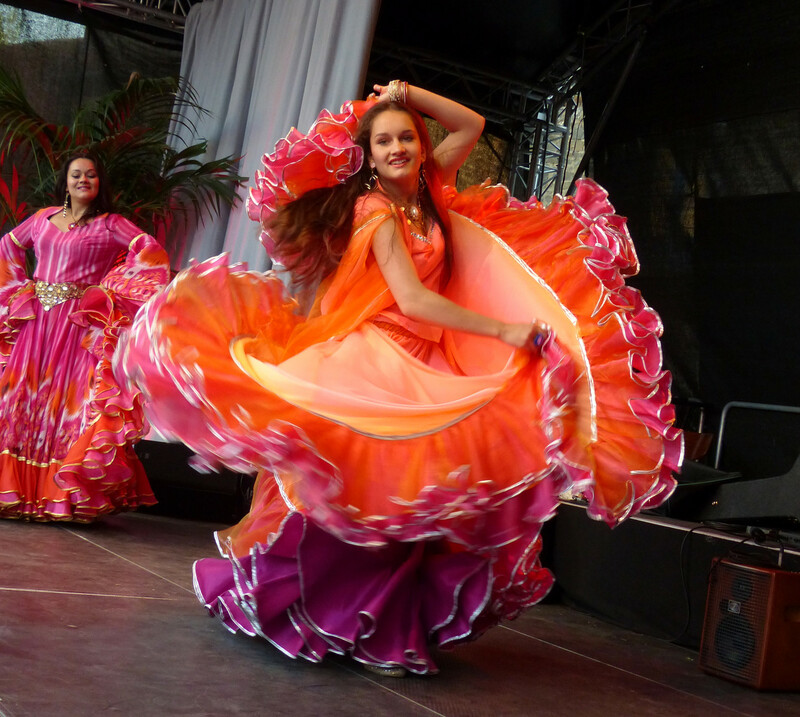 Dance culture as cultural dialogue – this motto also continues into their teaching in the Berlin-based ROMANY DANCE SCHOOL Project, where the idea of PHENJORIPE was born. Three women – three generations – three artist biographies! It’s PHENJORIPE! KATJUSHA KOZUBEK has worked professionally as a singer, actress and dancer on European stages for over 30 years, showcasing her own productions or appearing as a featured soloist. 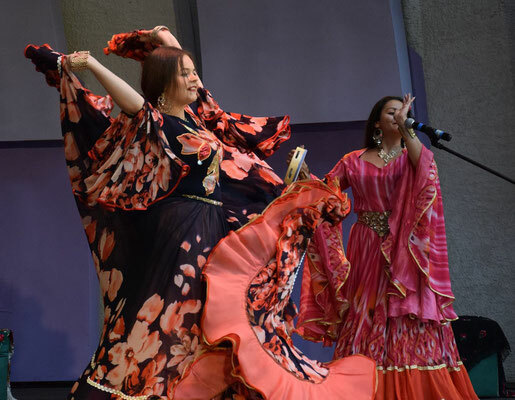 She has been heavily influenced by Russian and Jewish musical theater, as well as chanson and the improvisational dance and song of the Gypsies. Katjusha has produced several CDs and has performed in theater, radio and television productions in Germany and abroad. The success of her band at “Festival Romane Dwesa”(Poland) in 2004 led to further solo performances with the Gypsy musical theater TERNO. The dedicated global citizen has travelled to different countries to share Roma art and everyday Roma life. Currently, she is giving concerts and performing with PHENJORIPE. 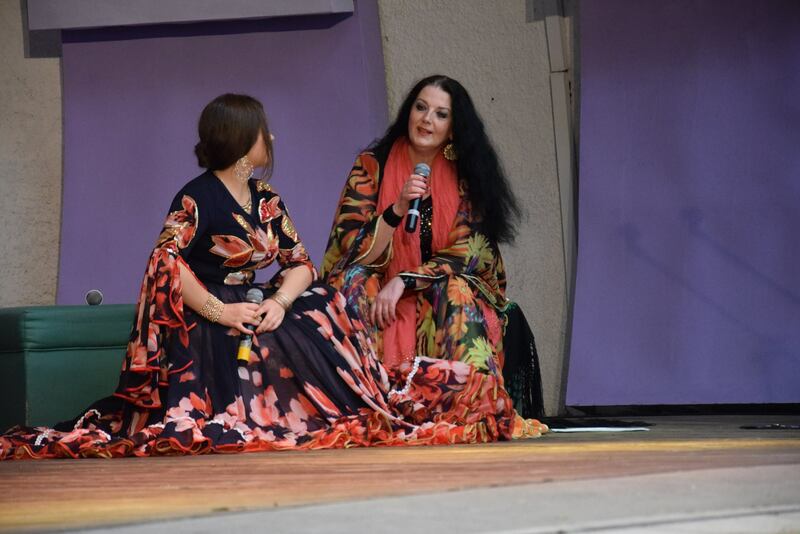 Above all, she is dedicated to the promotion of young Roma artists, cultural exchange and the management of the ROMANY DANCE SCHOOL project in Berlin. A singing actress – a dancing singer! 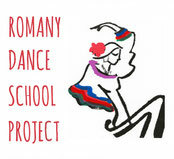 ANNA DEBICKA is one of the most popular dance teachers of Roma dance in Poland. Her students like to call her “Queen of the Magnificent Skirts”. Meanwhile, she has also inspired many Western Europeans followers, who travel from around the world to attend her classes in Berlin. At age 12 she began her stage career as a soloist in the famous Gypsy musical theater TERNO. Today, she is not only at home in Poland but also enjoys invitations for solo performances over the Polish border. Her dance – a gentle unleashing of passion! OLIWIA NOWACZYK is one of Anna’s most talented students! And she is one oft the amazing soloists from „ROMANY CIERHEN“ (roma stars). Her passion for dances began from 6 years in this ensemble , who is leading by Robert Patryk Dolinski & Anna Debicka. On her first show with PHENJORIPE on july 2016 in Warsaw, Oliwia showcases ,what she has learned from her famous teachers .The audiences was enthusiastic! A young rose – unrestrained, proud and vivacious! NATALIA DEBICKA is Anna’s daughter. Currently she is completing her education in Drama and is a soloist and amazing star of the musical theater TERNO. On the stages of famous Polish theaters, she showcases what she has learned from her mother. She belongs to the first cast of PHENJORIPE. Today she performs as a guest in addition to her work at the theater.